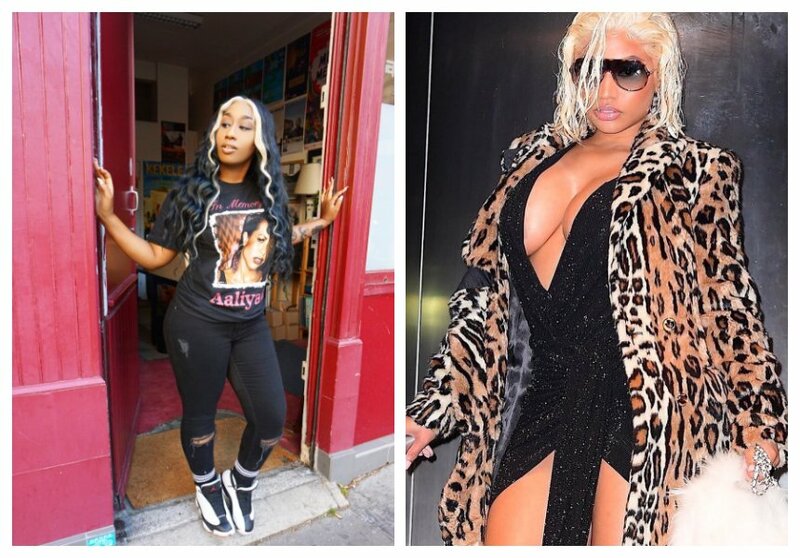 There is no denying that Victoria Rubadiri somewhat resembles American rapper Nicki Minaj, especially when she decides to be crazy with her fashion sense just like the ‘Anaconda’ rapper. Victoria was at the Louvre Museum in Paris when she unknowingly attracted the attention of some Parisians who took a great interest in her. The Kenyan rapper was approached by a French couple who asked for a selfie moment with her. 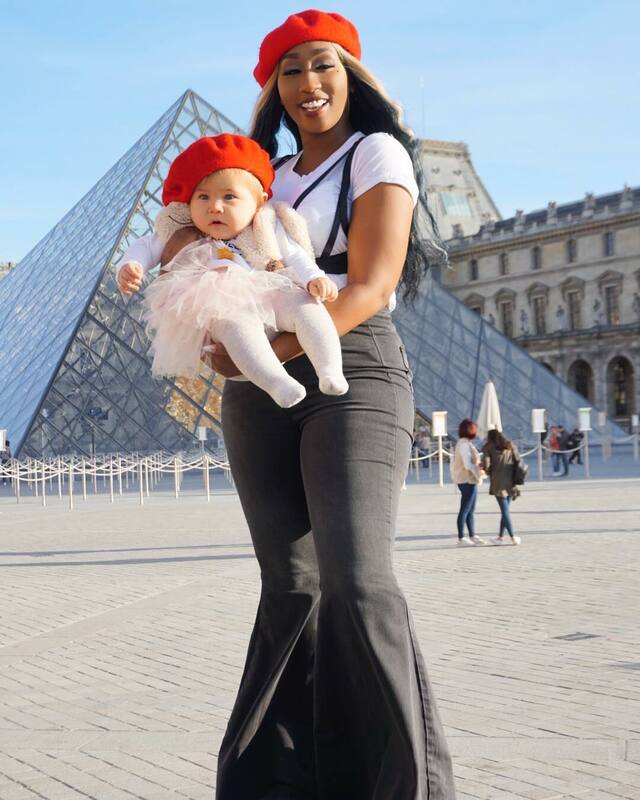 They handed her their baby and took photo of her with the baby as she posed in front of the Louvre Pyramid. Victoria only learnt later that the couple mistook her for Nicki Minaj. She now fears that the baby will one day know that she is not the American rapper but some popstar from Africa. “So…. here I was… doing touristy things In Paris…. and this Couple came up to me and literally handed me their baby and told me to take a picture with her…. I later found out that they thought that I was @nickiminaj …. While I do appreciate the Ultra sweet compliment But guys…. I don’t look like the Queen… not even a little bit…. one day…. this child will grow up and realize that I am in fact…. not Nicki…. but a Popstar from AFRICA ( which is super cool too) anyway… we look cute in our matching hats ,” wrote Victoria Kimani.